Have you been wondering if buying plastic windows is worth it? Or how you can install them yourself, and clean them to perfection? Plastic or uPVC windows are very popular, but why? Read on for the best information and tips. How much do plastic windows cost? Plastic windows (otherwise known as uPVC) can cost anywhere between £150 and £900 per unit. For a broader overview of how much you can expect to pay for the full window installation job in different kinds of houses, you can look at our next table. If you are trying to decide between double and triple glazed plastic windows, look no further! Here you will find prices for white or woodgrain uPVC windows with both types of glazing. You can also read comprehensive guides on double glazed windows and our triple glazed windows article, too. It’s not fun to overpay for things, especially big purchases like windows. They are a serious investment that can affect your quality of life for better or for worse. For this reason it is important to shop around and take your time before making a decision. Enter some details in our confidential portal and you will get up to 4 personalised quotes in under two days. You’ll be under no obligation to buy anything, plus you’ll be able to find the best deal for your requirements. How to restore plastic windows? 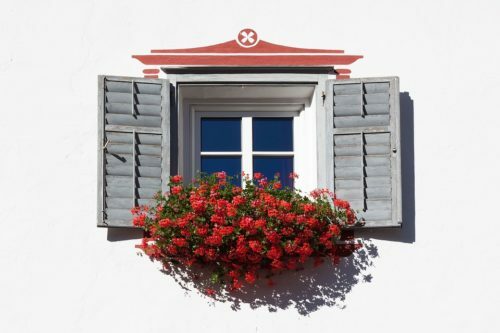 uPVC or plastic windows can become sun-damaged after time, and may lose their glossy finish after a while. What can you do to make them beautiful again? Your windows are yellow and discoloured Find a specialist window restoring spray that you can easily apply and wipe away - this strips away the first layer of plastic and makes it look almost new. You can make them glossy again by polishing clear wax into your restored frames. Your window frames are scratched or gouged For shallow scratches, you can use an abrasive cleaner, but do not use on woodgrain finishes. In general, if you are unsure about how to restore your plastic windows, it is best to contact a specialist. They will be able to tell you whether you are able to restore them or if they need replacing completely. How to install plastic windows? Caulk all the way around. With new builds using a membrane seal is best. Clean the window and you’re done! Will plastic windows save me money? There are plenty of upsides to buying uPVC windows over aluminium or wooden windows for instance, the biggest one being the cost! Windows with plastic frames are the most cost-effective and low maintenance variety. For this reason, you will save money on your initial purpose and in the long run you will save time as opposed to wooden windows especially that need stripping and staining every once in a while. In terms of energy savings there are many debates over whether plastic windows are better. It depends more on the glazing you choose than on the framing material. uPVC used to be preferred over aluminium since metal conducts heat better and therefore would not be such a good insulator, but nowadays thermal breaks in aluminium frames prevent this. You can read more about aluminium windows over at our dedicated article. The most surefire way to save money on home improvement is to inform yourself as much as possible. Local providers will give you the most accurate quotes for your project. For this reason we provide the service of putting you in touch with up to 4 nearby professionals. Enter your information and get quotes in a couple of days. This no-obligation process ensures you have the best information and the best possible price.